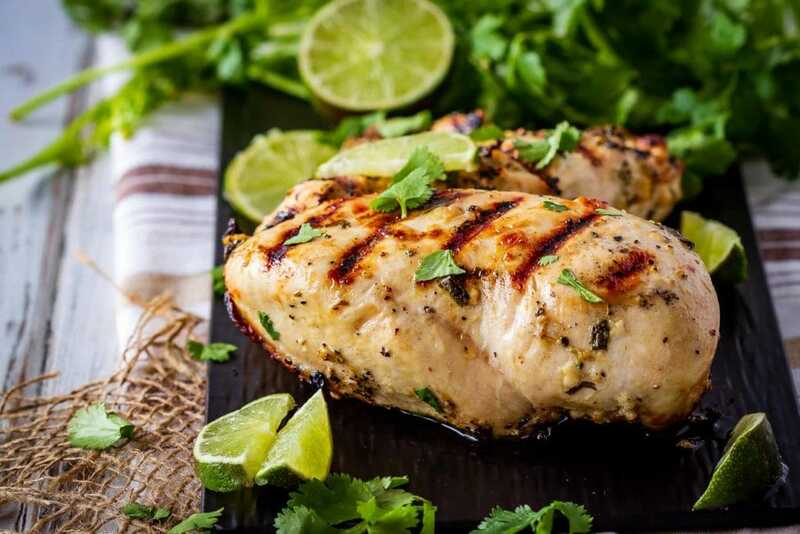 This cilantro lime chicken marinade is easy to mix up and adds so much flavour to your chicken. Marinate and then grill or bake, or freeze for later! 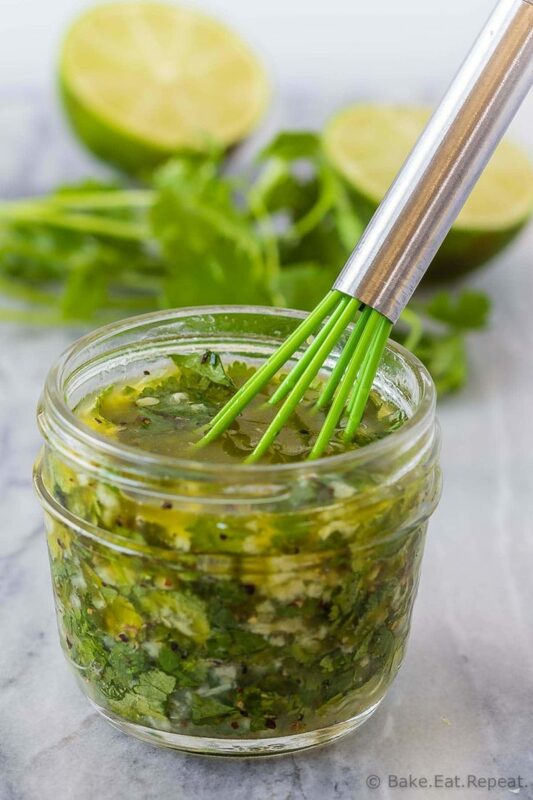 Using recipes like this cilantro lime chicken marinade has made my life so much easier this summer. I don’t about you, but I get a little bit sick of eating plain old grilled chicken with BBQ sauce for dinner. Easy yes….but a tad boring after a little bit. My husband would totally disagree with this statement. He likes nothing better then grilled chicken with BBQ sauce – simple and delicious. 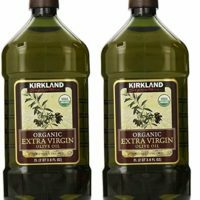 You can either marinate your chicken and then cook it immediately, or you can freeze it and let it marinate while it’s defrosting before cooking it. I like to freeze my chicken immediately after adding the marinade, and then defrost the bag of chicken the day I want to use it, letting it marinate while it defrosts. 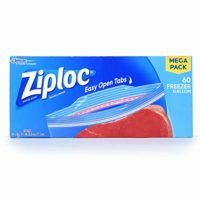 I usually defrost my meat by submerging the bag with frozen meat in cold water as I find this only takes a couple of hours, but you can also defrost it in the refrigerator overnight if you prefer. 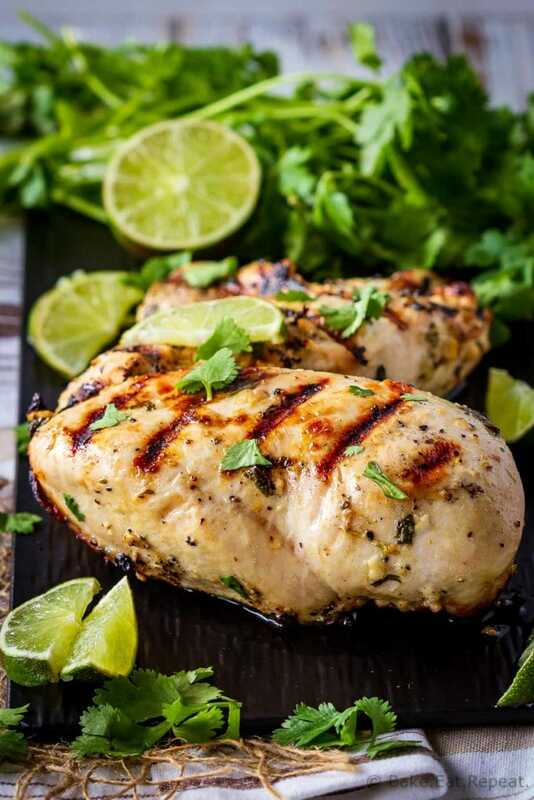 This cilantro lime chicken marinade is fantastic. 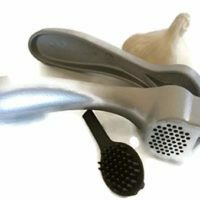 It’s easy to mix up and adds so much flavour to the chicken. The chicken is great all on it’s own, but also goes very well in this chicken taco salad instead of the marinade used there. We’ve also used this chicken in fajitas or on nachos. 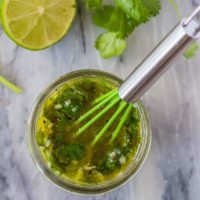 You can use either chicken breasts or chicken thighs with this cilantro lime chicken marinade, both are delicious. Place the chicken breasts in a large ziplock bag. 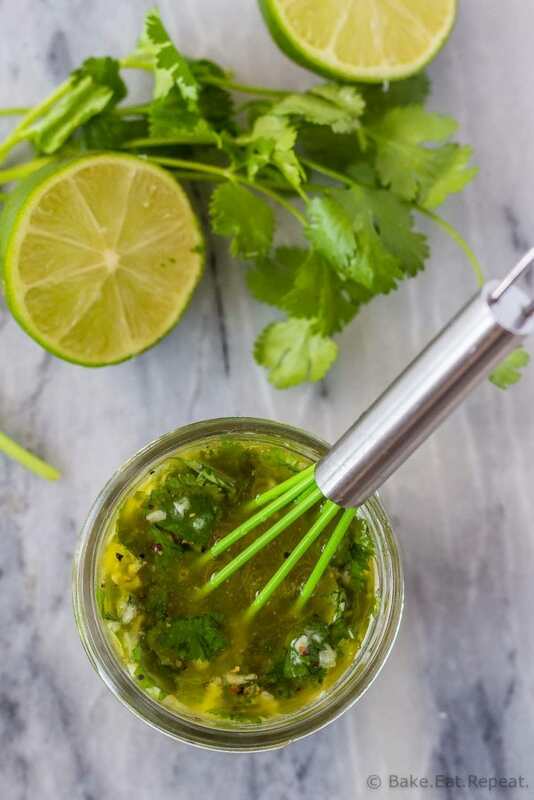 In a small bowl, whisk together the olive oil, lime juice, cilantro, salt, garlic and pepper. Source: Adapted from my Cilantro Lime Grilled Shrimp Salad.